Posted on November 27, 2017 at 11:00 am. The world’s most brilliant hospitality stars were lauded recently at the Haute Grandeur Hotel Awards Gala ceremony held on the 27th of October 2017 at the Sofitel Bangkok Sukhumvit in Thailand. 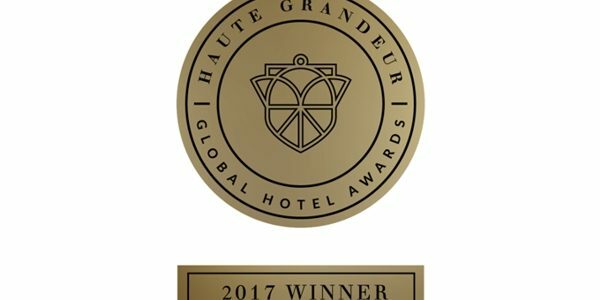 Haute Grandeur is recognized as the world’s leading Awards initiative, acknowledging the finest hospitality experiences across 7 continents and more than 60 countries. Each year, the world’s premium luxury hotel and spa brands compete for the ultimate accolade in overall excellence and greatest contribution to the industry. Brilliance is recognized by means of a rigorous rating process, based on a unique concept exclusive to Haute Grandeur. By relying on quality feedback from guests rather than a quantity of votes by the general public or judges, fairness, transparency and unbiased results are guaranteed. I am elated to inform everyone that Pondoro were awarded not one, but two magnificent awards on this glittering evening. We won awards as the Best Safari Retreat in Africa, as well as the Best Romantic Hotel in Africa. I wish to take this opportunity to thank everyone of our guests who took the time to vote for us. Winning this awards would not have been possible without our loyal and hardworking staff who makes Pondoro stand out amongst a plethora of great lodges and hotels from all around the world. 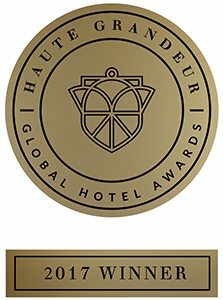 The Haute Grandeur Global Hotel and Spa AwardsTM is a leading, respected and globally trusted Awards initiative, honoring remarkable contributions by outstanding luxury establishments; hotels, lodges, casinos, resorts, private island retreats and spas worldwide. Association with Haute Grandeur Hotel awards guarantees recognition, credibility and influence. The Hotel Awards are regarded as the highest accolade in the hotel and spa industry – a promise of quality, a distinct symbol of excellence.